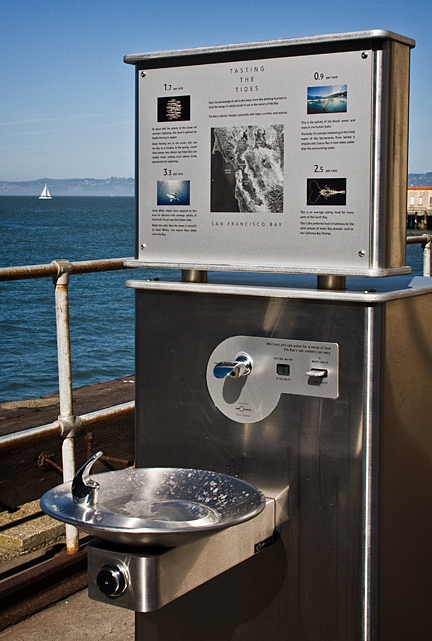 In March, San Francisco's 40-year old Exploratorium opened 19 new exhibits outdoors at Fort Mason. The array of outdoor structures and instruments are placed in various locations on the Fort's piers and lure passers-by to conduct their own observations of the san Francisco Bay. 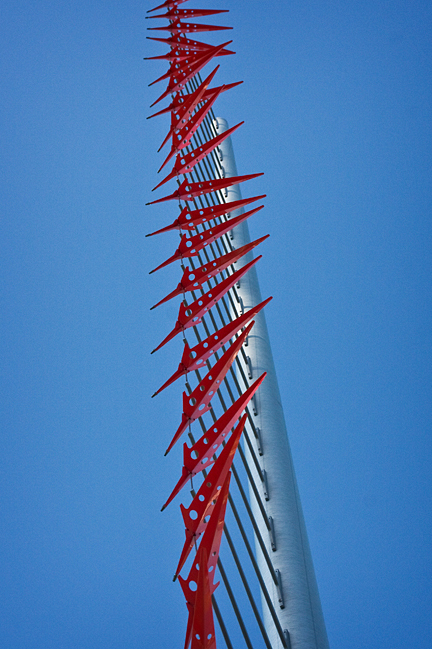 The installations include a sky mirror, wind arrows, and examinations of corrosion and barnacles. One device focused on the Golden Gate Bridge, uses GPS to record slight motions of the structure as it expands and contracts in various temperatures. 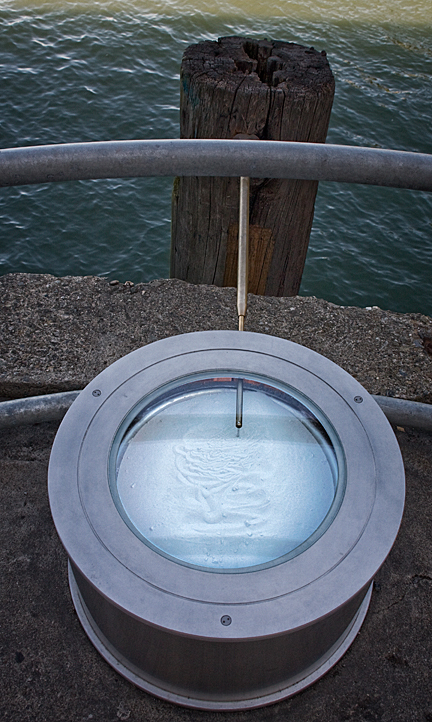 These movement, of up to 16 feet, can be observed hour-by-hour using the Exploratorium's pier side telescopic instrument. However a bigger move for the Exploratorium may yet come. Under a current plan, the museum could move from the Palace of Fine Arts where it has been since 1969 to a new larger home on Piers 15-17 along San Francisco's waterfront. This $175 million plan would triple the space the museum now has and is expected to increase attendance by 200,000. If approved by port officials and the Board of Supervisors the new Exploratorium could be done as early as 2012.